Have you ever tried to explain a simple idea to a friend only to find yourself at a loss for words? Exposure is a concept that does that to a lot of people. From a technical standpoint, exposure is the amount of light your camera’s sensor captures when an image is taken. The question of what is correct exposure, though, is less technical, and more of the opinion of the photographer. It’s based on the type of image you want to create. A correct exposure is not too bright and not too dark, and that will be dependent on the result you want, not on any technical definition. A correct exposure is when the photograph looks the way the photographer intended it to look, which typically means not too bright (overexposed) and not too dark (underexposed). It’s important to learn how to control your camera’s exposure manually, because your camera can’t read your mind. If you’re seeking a specific look, whether it’s a brighter image, or a darker one, you’ll have to be able to use your settings to ensure your camera knows what you’re looking for. 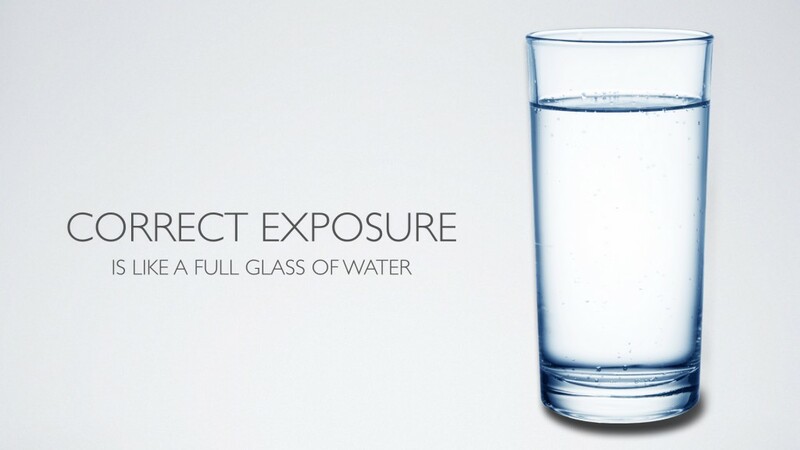 Consider exposure like a full glass of water. When it’s filled correctly, it’s not overflowing and it’s not under filled; it’s just right. You can turn the faucet on full blast, for a short period of time. As long as you turn the faucet back off before the glass overflows, you’ll have a perfectly full glass. 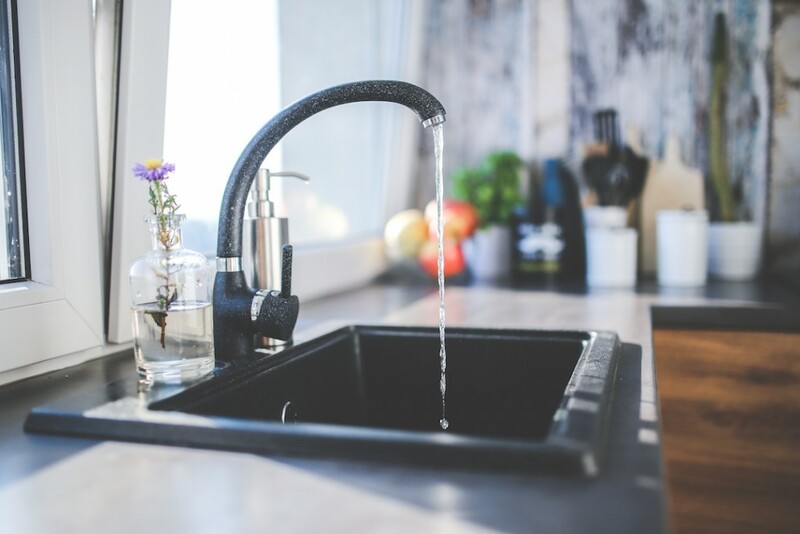 Or, you can turn the faucet on to a slight trickle, which will take a long time for the glass to fill but eventually, it will be full. 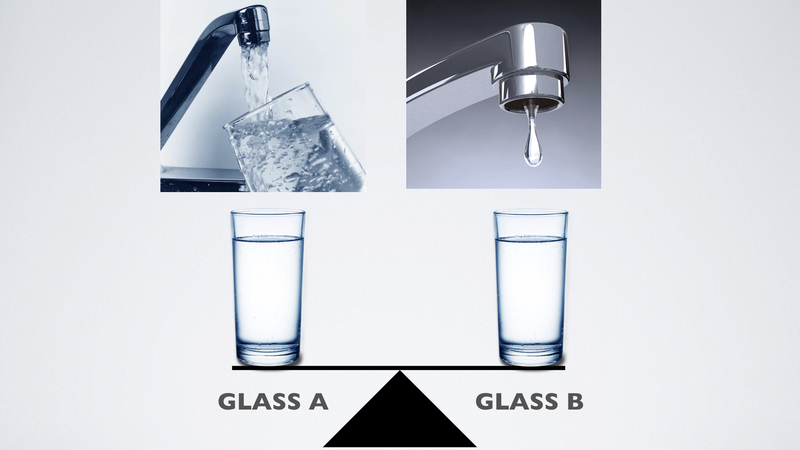 What constitutes a full glass will vary from person to person – my full glass of water might not be the same as yours. Maybe you’re using a cocktail glass, and I’m filling a mug. In this metaphor, the faucet is your aperture (the size of the hole in your lens through which light travels), and the time that it takes to fill the glass is your shutter speed (the duration of time that the shutter remains open, allowing light to travel to the hole). 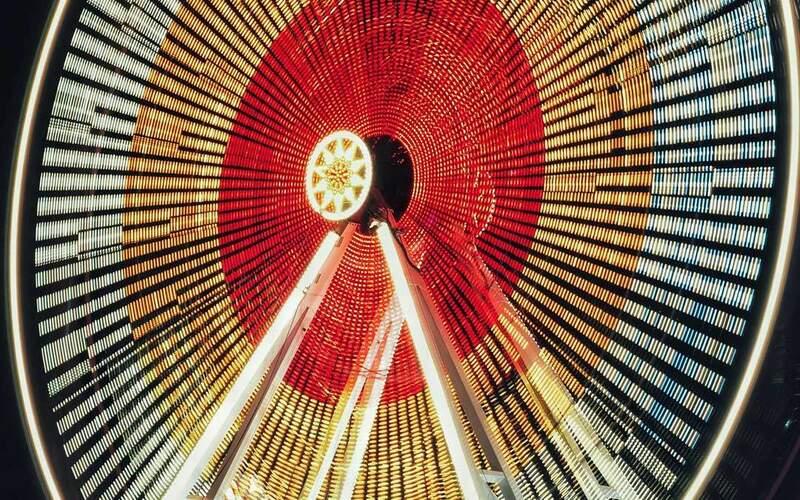 These two factors, aperture and shutter speed, make up two parts of the exposure triangle. 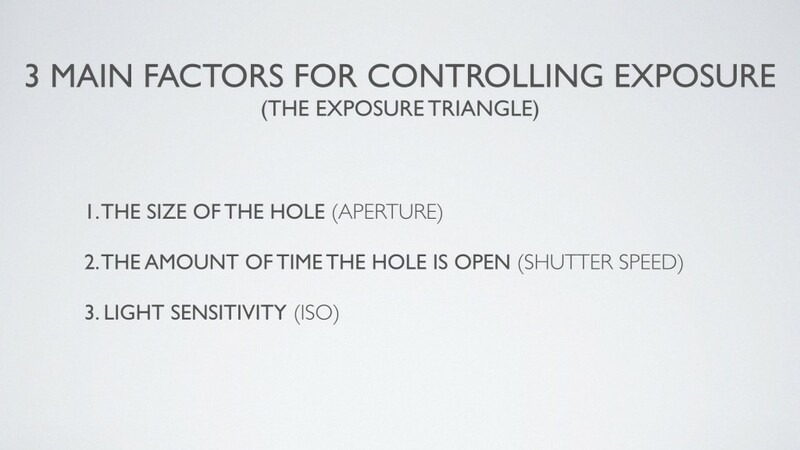 The third part of the exposure triangle is ISO – which is a measure of how sensitive your camera is to light. I’ll explain that next week. How do you describe exposure to other people? What photography concept is the most difficult to explain? Share in the comments.